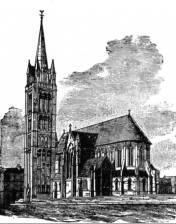 The first church of St Alban the Martyr was built in 1865 in Leopold Street. It was built to serve the local neighbourhood where there were few schools or churches, and little sanitation. 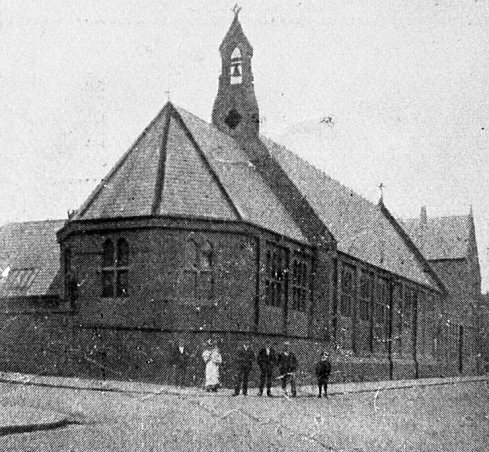 Although the priest, Revd James Pollock, wanted a temporary building which could accommodate as many people as possible, a smaller brick building with space for 250 was put up which was fondly referred to as "the shed". It was extended at the west end in 1867 to increase its capacity, and served as a school during the week. 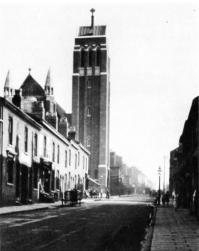 The population of Highgate continued to grow and in 1871 a second church was built alongside the first church on the corner of Dymoke Street and Leopold Street and the first church was partitioned to provide separate school rooms for boys and girls. 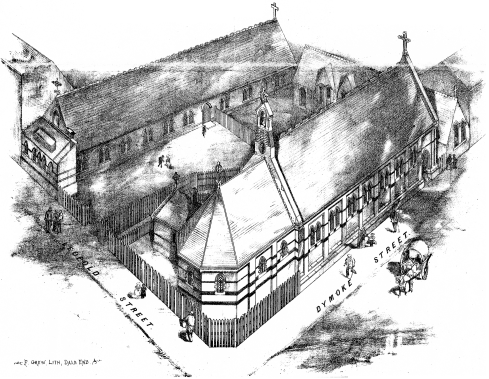 The new church was designed by John Davis with space for 480, to specifications that meant it could be sold off as a warehouse should the Mission in Highgate fail! The congregation continued to grow and so an even larger church was needed. The decision to build the current church seems to have been made without the Revd James Pollock's consent. However, once the decision had been made, he sold property on the Isle of Man to help fund the building costs. Originally, William Butterfield, the architect of Keble College Oxford, was approached to design the permanent church but his designs would have cost the church three times the budgeted amount for the project! 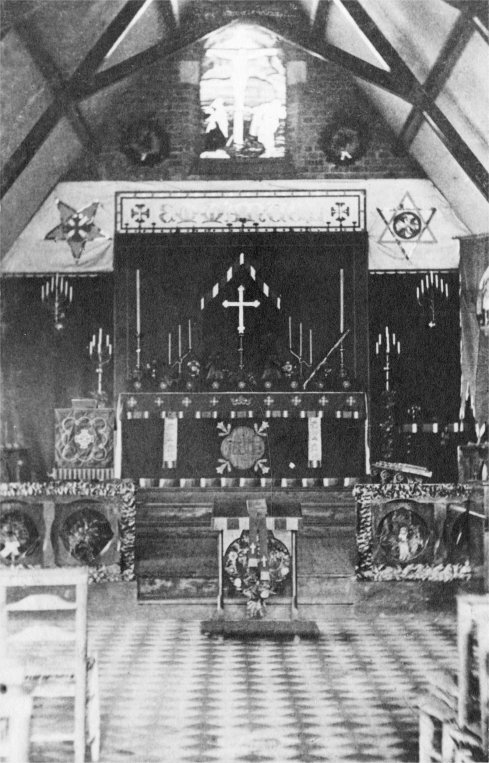 The church was finally designed by the High Church architect John Loughborough Pearson (1817 — 1897). He had already designed St Peter's, Vauxhall and St Augustine's, Kilburn and had just completed his drawings for Truro Cathedral, and this probably explains why St Alban's has the feel of a small cathedral. 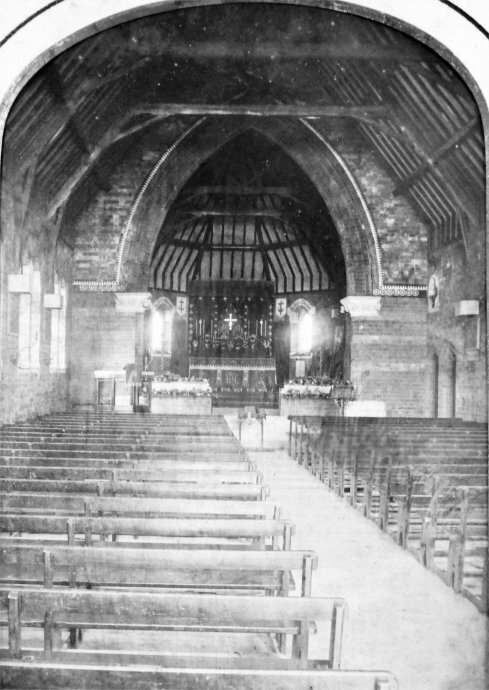 The foundation of St Alban's was laid in 1880 and the church was opened on 3rd May 1881 but it was not consecrated until 4th December 1899. The church was built for £20,000, a small amount even in the 1800s, but the church was still saddled with a debt of £14,000 for almost ten years. Pearson designed a tower for the southwest side of the church but only 25 feet of the height was completed. In 1938, a member of the congregation insisted on finishing the tower at his own expense and commissioned a new design through E. F. Reynolds, a local architect. The tower was completed in the original Pearson materials of brick with stone dressing.